We offer a full range of property management services tailored to you as an investor, homeowner, or landlord. 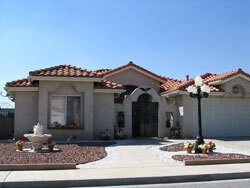 We have an extensive portfolio of single family homes, townhouses and condos in the Converse area. We can help you determine your property’s status in the marketplace and recommend a fair market rental value. We will also provide a list of recommend repairs so that your property will comply with state and federal requirements. We will help you receive the maximum rent while minimizing your liability exposure. GRG will present your property to the widest market possible. GRG will advertise by utilizing a yard sign, the internet, GRG websites, and we will work with other Realtors in the area. Our greatest marketing tool is our referral base of hundreds of satisfied owners and tenants. GRG thoroughly screens applicants with regard to their ability to pay the rent. GRG will check employment, credit, criminal background, and rental history. Each applicant and occupant 18 years of age and older must complete a Texas Association of Realtors Residential Lease Application. As a member of the Texas Association of Realtors, GRG will use their leasing forms and addendums. These forms and addendum provide you with the maximum protection if a dispute should arise. Tenants are required to inspect the property and complete a Residential Lease Inventory and Condition Form upon move in. The property is inspected upon move-out and the two forms are compared. These inspections help ensure the proper deductions, above normal wear and tear, will be deducted from their deposit. Tenants are required to pay a Security Deposit on or before the execution of the lease. The amount of the Security Deposit will vary depending on the amount of the rent and type of property. At a property where pets are allowed (Note: each owner will determine if pets are allowed or not, and if Pets are allowed what kind of pets) a Pet Addendum is used and an additional deposit, as well as a one-time non-refundable payment, may be required. Rent is due on the 1st of the month and considered late on the 3rd of the month. Our rent collection procedures are fair but firm. In the event eviction is necessary, GRG will handle all aspects of the eviction process. GRG handles maintenance and emergency repairs. When your property requires maintenance or repairs, GRG uses independent contractors that have been checked out by our management staff. Over time, GRG has found some of the best contractors in the workforce. Most of these contractors have provided service to our owners for many years. In addition to your Fire and Extended Coverage Insurance Policy, GRG requires that you maintain an "Owners, Landlord and Tenant Liability Policy". This coverage will help protect all involved against a wide range of loss. You will receive a monthly accounting of all income and expenses, and a year-end statement along with a Form 1099. GRG will adhere strictly to the US Department of HUD Federal Fair Housing Code and the National Association of Realtors Code for Equal Opportunity. Management Fees: Each month the Owner will pay the Broker 10% of the gross monthly rent collected each month. Leasing Fees for New Tenancies: Each time the Property is leased to a new tenant, Owner will pay 50% of one full month’s rent to be paid under the lease. Reserves: Upon Execution of this agreement, Owner will deposit the following amount with the Broker to be held in a trust account as a reserve for the owner: $500.00. The funds that are held in your Reserve funds are mainly for repairs when needed. Initial review is paramount!!! 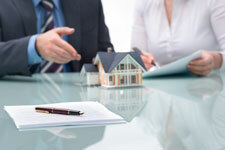 This provides you with the entire property condition with documentation. On average GRG will take about 100 photos of a property to ensure proper coverage of the unit and its surroundings. A detailed report is then sent to you for your file. Any additional photos are also provided for back up in the event of a problem later down the road. These reviews will be performed by Property Management Inspection Services; LLC The cost for the service is approximate $70 per review. They will be performing the review and will put the review report together. The billing comes from PMIS and GRG will pay this fee from your Reserve Funds.